Not what it once was. This facility has made some INEXCUSABLE errors (more than once) in dispensing prescription medications that has caused our parent completely preventable traumatic health issues. The facility is decorated nicely, that is a plus, but quality of care and proper administration of medications are much more important to us. I just came home from college and wanted to see where my grandparents were now living, and the minute I walked in the door it smelled like Thanksgiving Day at my grandparents house. I'm so happy that they have found a wonderful new home, my grandfather immediately introduced me to all his new friends that he plays cards with every morning. I found the staff to be very caring and made me feel very welcome during my visit, I was excited to see my grandparents new suite, and grandma had to show me her new picture wall of her grandchildren, she had decorated their apartment just like I remembered their home in the country. The rooms through out the community are very spacious and full of light because of many massive windows and found the whole building very clean. If I had one word to describe their new home is cozy, and was more than I could have ever imagined for them as they both are so happy here. Great job Sunrise! I have toured this community and can say it is absolutely wonderful. Everyone is so warm and you feel welcome right away. I loved all of the fresh flowers and there are windows everywhere to catch a glance at their great view. That huge porch with rocking chairs looks like a great way to relax in the summer! They also have two super sweet dogs that live at the community - it feels like home. The best way to get to know a community is by scheduling a tour. See the facilities, meet the staff and residents, and get a feel first hand what it's like to live at Sunrise of Mercer Island Assisted Living. At Sunrise of Mercer Island, we provide the highest level of services for individuals in need of assisted living and memory care. Our community is just minutes away from downtown Bellevue and Seattle, which means fine dining, shopping and some of the top medical facilities in the world are close by. Sunrise of Mercer Island is part of the Sunrise Senior Living family of communities, and we are committed to making every effort to create positive change in our residents' lives. Daily meals are served in our elegant community dining room. For visiting friends and family or for special events, our bistro dining room is available. Sunrise of Mercer Island provides custom meal services for most special dietary requirements. Snacks and beverages can be found at anytime in the bistro. Our spacious suites come equipped with walk-in showers, wall-to-wall carpeting and emergency call systems. The living room is perfect for socializing with friends and listening to music and entertainment. Within the living room is a cozy library area that is well stocked with books and other materials for our residents' enjoyment. With surrounding gardens and patio areas that are ideal for enjoying sunny weather and plenty of entertaining activities, our residents always have options for enjoying their days. A beauty salon and barber shop is on site for our residents' convenience. When needed, transportation to appointments is also available. The caring staff at Sunrise of Mercer Island is available twenty-four hours a day. 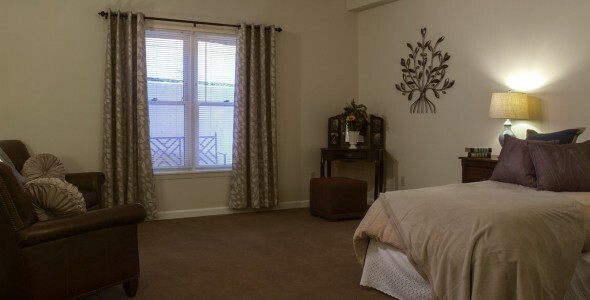 The care that residents receive is specially tailored to their individual preferences and needs. For specialized care that goes beyond simply meeting the needs of residents, Sunrise of Mercer Island provides the highest level of care for individuals seeking an assisted living and memory care community.